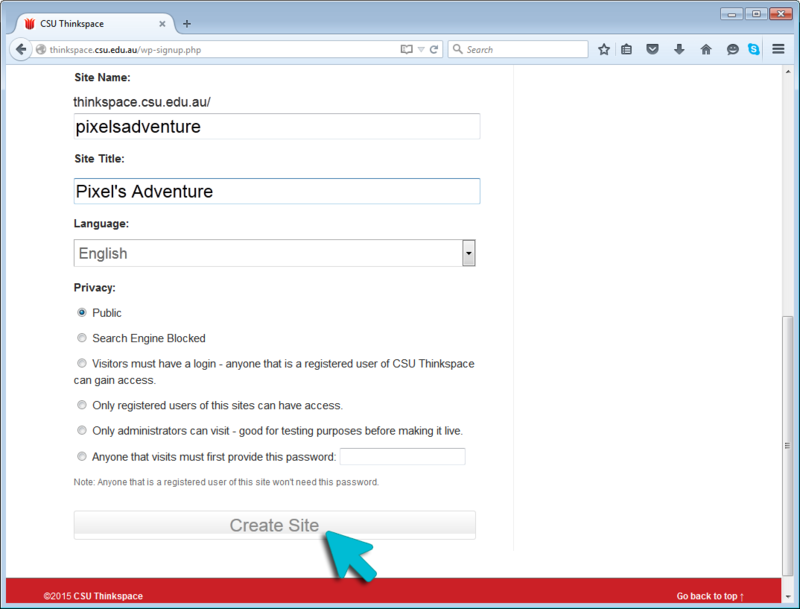 Create a Thinkspace Site | Making a Website with Thinkspace! 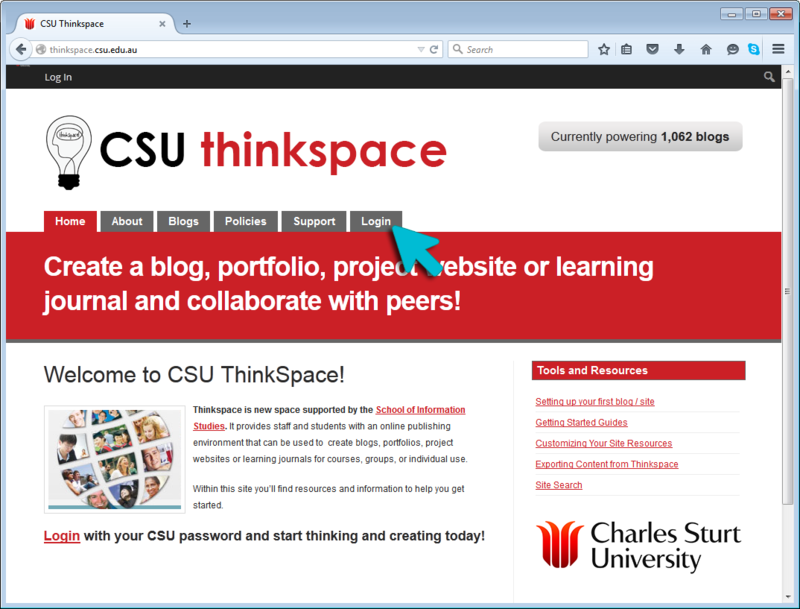 Click on the Login Button on the CSU Thinkspace homepage or go to http://thinkspace.csu.edu.au/wp-login.php. 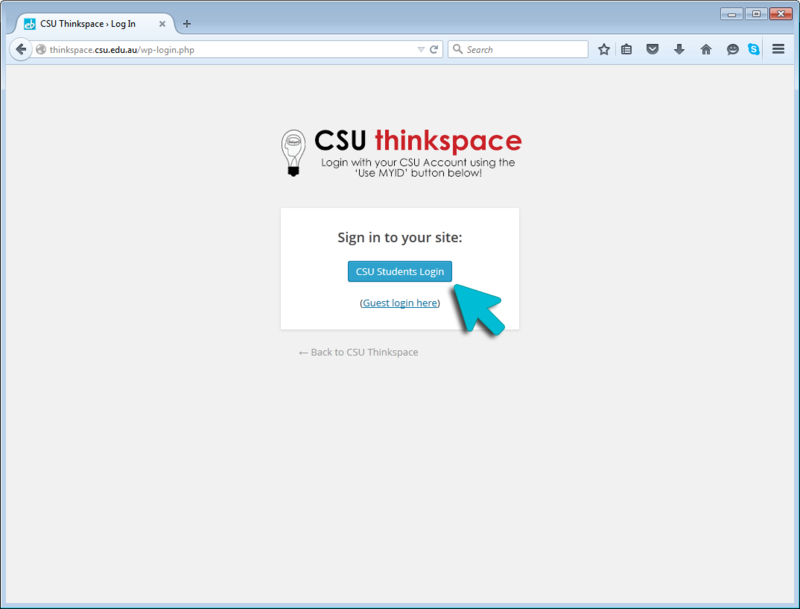 Login using your CSU Student or Staff Account by clicking on the blue CSU Student Login button. 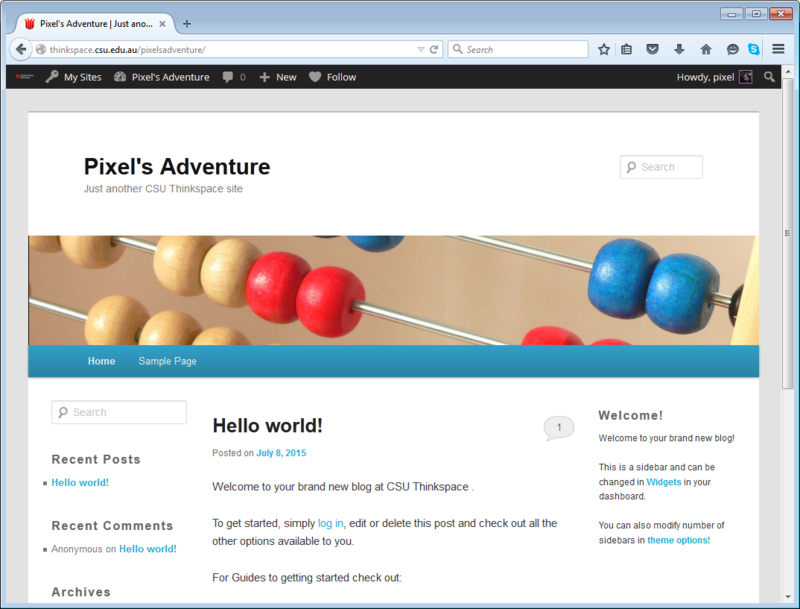 Give your site a name and a title, select language, privacy options. Click the ‘Create Site’ button to make to official! Complete: Congratulations! Your site has been created.